1. Riehm H, Gadner H, Henze G et al. The Berlin childhood acute lymphoblastic leukemia therapy study, 1970-1976. Am J Pediatr Hematol Oncol. 1980. 2: 299-306. 2. Riehm H, Gadner H, Henze G et al. The Berlin childhood acute lymphoblastic leukemia therapy study, 1970-1976. Am J Pediatr Hematol Oncol. 1980. 2: 299-306. 3. Булычева Т.И. Состояние иммунитета и принципы иммунотерапии больных острыми лейкозами. Автореф. дисс. д-ра мед.наук. М., 1979, 31 с. 4. Барышников А.Ю., Кадагидзе З.П, Махонова Л.А., Тупицын Н.Н. Иммунологический фенотип лейкозной клетки. М.: Медицина, 1989, 240 с. 5. Ленская РВ. Цитологические критерии диагноза и прогноза острого лейкоза у детей. Автореф.дисс.д-ра биол.наук. М., 1983. с. 48. 6. Маякова С.А. Некоторые методы иммунотерапии острого лейкоза у детей. Дисс канд мед наук, М., 1969. 212 с. 7. Rivera G, Raimondi S, Hancock M et al. Improved outcome in childhood acute lympho-blastc leukaemia with reinforced early treatment and rotational combination chemotherapy. The Lancet. 1991. 337(8733): 61-66. 8. Goldie JH, Coldman AJ, Gudauskas GA. Rationale for the use of alternating non-cross-resistant chemotherapy. Cancer Treat rep. 1982. 66: 439-449. 9. Davey FR, Castella A, Lauenstein K et al. Prognostic significance of the revised French-American-British classification for acute lymphocytic leukaemia. Clin Lab Haematol. 1983. 5(4): 343-51. 10. Veerman AJ, Hogeman PH, Huismans DR et al. Peanut agglutinin, a marker for T-cell acute lymphoblastic leukemia with a good prognosis. Cancer Res. 1985. 45(4): 1890-3. 11. Pinkel D., Woo S. Prevention and treatment of meningeal leukemia in children. Blood. 1994. 84: 355-366. 12. Aur RG, Simone J, Hustu HO et al. Central nervous system therapy and combination chemotherapy of Childhood lymphocytic leukemia. Blood. 1971. 37(3): 272-81. 13. Relling MV, Rubnitz JE, Rivera GK et al. High incidence of secondary brain tumors after radiotherapy and antimetabolites. Lancet. 1999. 354: 34-9. 14. Sullivan MP, Chen T, Dyment PG et al. Equivalence of intrathecal chemotherapy and radiotherapy as central nervous system prophylaxis in children with acute lymphoblastic leukemia: a pediatric oncology group study. Blood, 1982. 60(4): 948-58. 15. Clarke M, Gaynon P, Hann J et aL CNS-directed therapy for childhood acute lymphoblastic leukemia: childhood collaborative group overview of 43 randomized trials. J.Clin.Oncol. 2003. 21: 1798-1809. 16. Leukemia in children, ed. by G.L. Mentkevich, S.A.Mayakova. Prakticheskaya Meditsina, М., 2009. p. 381. 17. Axel E.M. Malignant neoplasms in children. Statistika / Onkopediatriya. 2015. 2. 2: 154-157. 18. Pediatric Oncology. National Guidelines / ed. by M.D. Aliyev, V.G. Polyakov, G.L. Mentkevich, S.A. Mayakova. Prakticheskaya Meditsina, M. 2012. p. 681. 19. 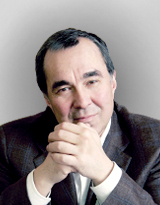 Alekseyev N.A. Hematology and Immunology of Childhood. Hippocrates. S.-Pb. 2009. p. 1039. 20. Burchenal J.H. Therapy of acute leukemia. Dia Med. 1952. 24(72): 1883-4. 21. Pearson OH, Eliel LP. Use of pituitary adrenocorticotropic hormone (ACTH) and cortisone in lymphomas and leukemias. J Am Med Assoc. 1950. 144(16): 1349-53. 22. Makhonova L.A. Findings on clinical patterns and treatment (chemotherapy and immunotherapy) of acute leukemia in children. Synopses from PhD Med dissertation. М.,1973. p. 31. 23. Mayakova S.A. Treatment and prognosis of acute lymphoblastic leukemia in children. Synopses from Med. D. dissertation. М., 1986. 24. Pinkel D. Five year foolow-up of “total therapy” of childhood lymphocytic leukemia. JAMA. 1971. 216: 648. 25. Bulycheva T.I. Immunity status and principles of immunotherapy of patients with acute leukemia. Synopses from Med. D. dissertation. Мoscow, 1979, 31 p.
26. Baryshnikov A.Y., Kadagidze Z.G., Mahonova L.A., Tupitsin N.N. Immunological leukemic cell phenotype. M. Meditsina, 1989, 240 p.
27. Lenskaya R.V. Cytological criteria for the diagnosis and prognosis of acute leukemia in children. Synopses from Biol. D. dissertation. M. 1983. p. 48. 28. Mayakova S.A. Some methods of immunotherapy of acute leukemia in children. PhD Dissertation (Medicine), M. 1969. 212 p.
29. Tubergen DG, Gilchrist GS, O'Brien RT et al. Prevention of CNS disease in intermediate-risk acute lymphoblastic leukemia: comparison of cranial radiation and intrathecal methotrexate and the importance of systemic therapy: a Childrens Cancer Group report. J.Clin.Oncol. 1993. 11(3): 520-6. 30. Childhood ALL Collaborative Group. Duration and intensity of maintenance chemotherapy in acute lymphoblastic leukaemia: overview of 42 trials involving 12 000 randomised children. Lancet. 1999. 347: 1783-1788. 31. Riehm H, Reiter A, Schrappe M et al. Corticosteroid-dependent reduction of leukemic count in blood as a prognostic factor in acute lymphoblastic leukemia in childhood (therapy study ALL-BFM 83). Klin Padiatr. 1987. 199: 151-160. 32. Arico M, Valsecchi MG, Conter V et al. Improved outcome in high-risk childhood acute lymphoblastic leukemia defined by prednisone-poor response treated with double Berlin-Frankfurt-Muenster protocol II. Blood. 2002. 100(2): 420-426. 33. Rumyantsev A.G., Maschan A.A., Samochatova E.V. Supportive care and prevention of infections in hematology and oncology. М.: Medpraktika-M. 2006. p. 503. 34. Eckhof-Donovan S, Schwamborn D, Korholz D et al. Thrombosis in children with acute lymphoblastic leukaemia treated with the COALL-protocol. Klin Padiatr. 1994. 206(4): 327-330. 35. Janka GE, Winkler K, Jürgens H et al. Acute lymphoblastic leukemia in childhood: the COALL studies. Klin Padiatr. 1986. 198(3): 171-7. 36. Gobrecht O, Gobel U, Graubner U, Janka-Shaub G et al. Effect of dose intensity and therapy-included leukocytopenia in childhood. Results in 213 patients of the COALL-85 study. Klin Padiatr. 1992. 204(4): 230-235. 37. Janka-Shaub G, Harms D, Goebel U et al. for the Coall Study Group. Randomized comparison of rational chemotherapy in high-risk acute lymphoblastic leukaemia of childhood -- follow up after 9 years. Eur J Pediatr. 1996. 55: 640-648. 38. Janka-Shaub GE, Kortum BU, Winkler K et al. Initial response to therapy as an important prognostic factor in acute lymphoblastic leukaemia in childhood Coall Study Group. Klin Padiatr. 1991. 203(4): 231-235. 39. Escherich G, Gobel U, Jorch N et al. Daunorubicin-induced cell kill with 1-hour versus 24-hour infusions a randomized comparison in children with newly diagnosed acute lymphoblastic leukemia. Klin Padiatr. 2007. 219: 134-138. 40. Erb N, Harms D, Janka-Schaub GE. Pharmacokinetics and metabolism of thiopurines in children with acute lymphoblastic leukemia receiving 6-thioguanine versus 6-mercaptopurine. Cancer Chemother Pharmacol. 1998. 42: 266-272. 41. Harms DO, Gobel U, Spaar HJ et al., for the COALL Study Group. Thioguanine offers no advantage over mercaptopurine in maintenance treatment of childhood ALL: results of the randomized trial COALL-92. Blood. 2003. 102: 2736-2740. 42. Janka G, Harms D, Escherich G et al. Thioguanine offers no advantage over mercaptopurine in maintenance therapy of childhood ALL. Med Pediatr Oncol. 1999. 33: 217. 43. Schrappe M, Reiter A, Sauter S et al. Concept and interim result of the ALL-BFM 90 therapy study in treatment of acute lymphoblastic leukemia in children and adolescents: the significance of initial therapy response in blood and bone marrow. Klin Padiatr. 1994. 206(4): 208-21. 44. Harms DO, Janka-Schaub GE. Co-operative study group for childhood acute lymphoblastic leukemia (COALL): long-term follow-up of trials 82, 85, 89 and 92. Leukemia. 2000. 14(12): 2234-9. 45. Schrappe M, Reiter A, Ludwig WD, et al. Improved outcome in childhood acute lymphoblastic leukemia despite reduced use of anthracyclines and cranial radiotherapy: results of trial ALL-BFM 90. German-Austrian-Swiss ALL-BFM Study Group. Blood. 2000. 95(11): 3310-3322. 46. Igarashi S, Manabe A, Ohara A et al. No advantage of dexamethasone over prednisolone for the outcome of standard- and intermediate-risk childhood acute lymphoblastic leukemia in the Tokyo Children's Cancer Study Group L95-14 protocol. J Clin Oncol. 2005. 23(27): 6489-6498. 47. Bostrom BC, Sensel MR, Sather HN et al. Dexamethasone versus prednisone and daily oral versus weekly intravenous mercaptopurine for patients with standard-risk acute lymphoblastic leukemia: a report from the Children's Cancer Group. Blood. 2003 May 15. 101(10): 3809-17. 48. Harms DO, Göbel U, Spaar HJ et al. Thioguanine offers no advantage over mercaptopurine in maintenance treatment of childhood ALL: results of the randomized trial COALL-92. Blood. 2003. 102(8): 2736-40. 49. McLeod HL, Lin JS, Scott EP, Pui CH, Evans WE. Thiopurine methyltransferase activity in American white subjects and black subjects. Clin Pharmacol Ther. 1994. 55: 15. 50. Relling MV, Hancock ML, Boyett JM et al. Prognostic importance of 6-mercaptopurine dose intensity in acute lymphoblastic leukemia. Blood. 1999. 93(9): 2817-2823. 51. Dervieux T, Hancock ML, Evans WE et al. Effect of methotrexate polyglutamates on thioguanine nucleotide concentrations during continuation therapy of acute lymphoblastic leukemia with mercaptopurine. Leukemia. 2002. 16: 209-212. 52. Giverhaug T, Loennechen T, Aarbakke J. Increased concentrations of methylated 6-mercaptopurine metabolites and 6-thioguanine nucleotides in human leukemic cells in vitro by methotrexate. Biochem Pharmacol. 1998. 55: 1641-1646. 53. Rivard GE, Infante-Rivard C, Dresse MF et al. Circadian time-dependent response of childhood lymphoblastic leukemia to chemotherapy: a long-term follow-up study of survival. Chronobiol Int. 1993. 10: 201-204. 54. Lonsdale D, Gehan EA, Fernbach DJ, Sullivan MP, Lane DM, Ragab AH. Interrupted vs. continued maintenance therapy in childhood acute leukemia. Cancer. 1975. 36: 341-352. 55. Frei E, Karon M, Levin RH et al. The effectiveness of combinations of antileukemic agents in inducing and maintaining remission in children with acute leukemia. Blood. 1965. 26: 642-656. 56. Kamps WA, Veerman AJ, van Wering ER et al. Long-term follow-up of Dutch Childhood Leukemia Study Group (DCLSG) protocols for children with acute lymphoblastic leukemia, 1984-1991. Leukemia. 2000. 14(12): 2240-6. 57. Maloney KW, Shuster JJ, Murphy S et al. Long-term results of treatment studies for childhood acute lymphoblastic leukemia: Pediatric Oncology Group studies from 1986-1994. Leukemia. 2000. 14(12): 2276-85. 58. Schrappe M, Reiter A, Zimmermann M et al. Long-term results of four consecutive trials in childhood ALL performed by the ALL-BFM study group from 1981 to 1995. Berlin-Frankfurt-Münster. Leukemia. 2000. 14(12): 2205-22. 59. Conter V, Aricò M, Basso G et al. Long-term results of the Italian Association of Pediatric Hematology and Oncology (AIEOP) Studies 82, 87, 88, 91 and 95 for childhood acute lymphoblastic leukemia. Leukemia. 2010. 24(2): 255-64. 60. Conter V, Aricò M, Valsecchi MG et al. Intensive BFM chemotherapy for childhood ALL: interim analysis of the AIEOP-ALL 91 study. Associazione Italiana Ematologia Oncologia Pediatrica. Haematologica. 1998. 83(9): 791-9. 61. Aricò M, Valsecchi MG, Rizzari C. et al. Long-term results of the AIEOP-ALL-95 Trial for Childhood Acute Lymphoblastic Leukemia: insight on the prognostic value of DNA index in the framework of Berlin-Frankfurt-Muenster based chemotherapy. J Clin Oncol. 2008. 26(2): 283-9. 62. Reiter A, Schrappe M, Ludwig WD. et al. Chemotherapy in 998 unselected childhood acute lymphoblastic leukemia patients. Results and conclusions of the multicenter trial ALL-BFM 86. Blood. 1994. 84(9): 3122-33. 63. Gaynon PS, Trigg ME, Heerema NA et al. Children's Cancer Group trials in childhood acute lymphoblastic leukemia: 1983-1995. Leukemia. 2000. 14(12): 2223-33. 64. Escherich G, Horstmann MA, Zimmermann M et al. Cooperative study group for childhood acute lymphoblastic leukaemia (COALL): long-term results of trials 82,85,89,92 and 97. Leukemia. 2010. 24(2): 298-308. 65. Schorin MA, Blattner S, Gelber RD et al. Treatment of childhood acute lymphoblastic leukemia: results of Dana-Farber Cancer Institute/Children's Hospital Acute Lymphoblastic Leukemia Consortium Protocol 85-01. J Clin Oncol. 1994. 12(4): 740-7. 66. Schmiegelow K, Forestier E, Hellebostad M et al. Long-term results of NOPHO ALL-92 and ALL-2000 studies of childhood acute lymphoblastic leukemia. Leukemia. 2010. 24(2): 345-54. 67. Flohr T, Schrauder A, Cazzaniga G, Panzer-Grumayer R et al., International BFM Study Group (I-BFM-SG). Minimal residual disease-directed risk stratification using real-time quantitative PCR analysis of immunoglobulin and T-cell receptor gene rearrangements in the international multicenter trial AIEOP-BFM ALL 2000 for childhood acute lymphoblastic leukemia. Leukemia. 2008. 22: 771-782.